Competing against nothing is not easy. Every iPad and every Android tablet comes with an on-screen keyboard that costs nothing and weighs nothing. In fact, I am using one right now. It’s fine for short documents with no formatting, but I prefer a proper keyboard for longer writing sessions. I use the Apple wireless keyboard that came with my iMac (I use a wired keyboard on my desk, so this one was a spare. I invested in a durable slipcase from www.sfbags.comfor $29. and I carry an extra pair of AA batteries, just in case the Bluetooth eats too much power. Mostly, it works as well as any Bluetooth device. It’s a bit taller than the iPad, but then, it is a full-sized computer keyboard. Weight of keyboard, case and two sets of batteries: one pound. I do not carry it everywhere. The new ZAGGKeys FLEX is about 3/4 as long as the Apple keyboard, so the keys are closer together. It weighs about 3/4 of a pound, but it is much more compact. Power is provided via USB, not AA cells. Special buttons on the keyboard are used for undo, cut, paste, and search. The keyboard easily switches from Apple to Android mode. One button pairs the keyboard to either device. The niftiest part is the stand that doubles as the case. It’s lightweight and very stable–more firm that Apple’s magnetic iPad cover. The keyboard is a little clunky and a little noisy–convenient but Apple’s keyboard is both elegant and silent. Cost: Apple wireless keyboard ($69) + SF bags slipcase ($29) + a year’s batteries = $100. Cost: ZAGGKeys FLEX: about $80. At the recent Consumer Electronics Show, there were dozens of iPad accessory-makers on the show floor. I like ZAGG–they seem to come up with clever solutions. Here, they’ve got a good idea, but $20 and a quarter pound are not enough to overcome the significant quality advantage of the Apple / SF Bags solution. That’s how innerfidelity.com editor-in-chief Tyll Hertsens described the sound quality of Beats by Dr. Dre headphones on the front page of this morning’s NY Times Business section (link below). Yeah, they’re very heavy on the bass. And they’re best for music where bass drives the musical experience. And sometimes, if you listen loud, there’s distortion. 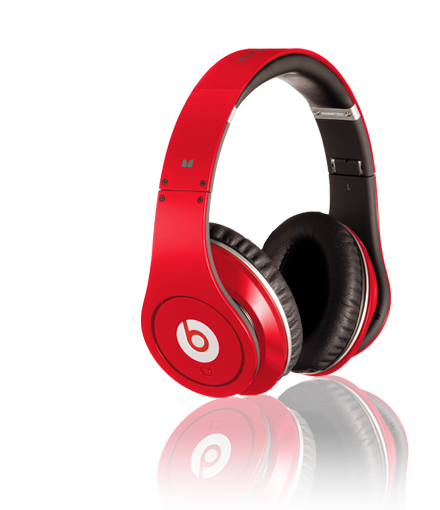 On the other hand, Beats are fashion statement, and people wear them not only to listen, but to be seen listening. Headphones as pictured (from the company website): $349. That’s a lot of money for a pair of headphones. Industry observers are impressed by the team of Dr. Dre and Monster Cable because they’ve opened a new market where price sensitivity matters less than lifestyle choices. By comparison, a pair of AKG K240 Professional Studio Headphones cost $199. If you have a pair of Beats, or manage to try a pair in a store, share your impressions. A very simple idea: add a tuner and a TV antenna to your portable device, and you can watch TV anytime, anywhere. No Internet, no cell phone service needed. However–your local TV broadcast television station must package mobile digital television (mDTV) channels. There will be dozens these channels–not thousands–some free, some fee. Tests in DC and other markets indicate that consumers love to watch mid-day newscasts and entertainment news–the heaviest viewing is daytime when folks are away from home.